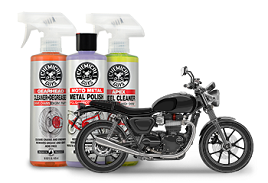 Signature Series Glass Cleaner cuts through tough grime, grease, dirt, and filth to restore perfect streak-free clarity to glass inside and outside any automobile without using noxious chemicals. 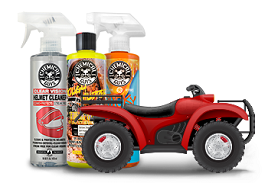 With a few sprays of Signature Series Glass Cleaner, dirt and debris simply disappear. 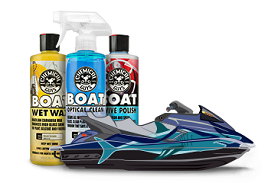 The advanced glass cleaner decontaminates the area fast, and reduces static cling to help repel future dirt and dust. While generic window cleaners leave streaks and harm window tint, the advanced Signature Series formula restores streak-free clarity without staining or damaging tint films or clear plastics. The unique formula works on any glass surface, window tint film, computer screens, LCD televisions, household windows, and even plastic windows and windscreens like Plexiglas parts. There are enough distractions while driving; take any dirt, grime, or debris out of the equation, and use Signature Series Glass Cleaner for improved clarity and safety when driving out on the road! Use two towels whenever cleaning windows or glass parts. Mist a light coating of glass cleaner over the part. Wipe up any dirt, grime, and debris with the first cleaning towel. Buff away any streaks with the second towel to restore a crystal-clear shine. Mist window cleaner into the towel whenever cleaning the inside of windows or sensitive components. Buff with premium microfiber towel. Use The 2 Towel Method To Make Sure You Leave That Glass Streak-Free! Using 2 separate towels to clean glass ensures that you don't leave behind any leftover cleaning residue or grime; 1 towel to wipe down the first initial pass and the other to pick up any excess!